"How An Internship Set Me Up For Success!" When I went up on stage to accept my college degree after five years of post-secondary education, I was hit by a whirlwind of memories – there were so many important milestones that took place over the course of those years. However, if I had to look back and pinpoint my proudest career moment to-date, it would have to be taking time off from university to complete my two internships. Doing so opened my eyes and helped me understand how the materials I studied in textbooks applied to the real working world. It also opened doors for me that otherwise may have been closed. If you’ve been wondering what you might get out of doing an internship, here is a first-hand account of how interning helped me jump-start my career. The time spent working on projects with classmates, while helpful, was nothing compared to what I experienced in an actual work environment. I recognized significant gaps between the contrived spaces of a classroom and what I was doing – and in reality, I saw how much work is involved in any given project. For instance, preparing a simple piece of written material for the marketing team led me to work with multiple stakeholders, including ad agencies and the legal team, from briefs to campaign deployment and post-launch measurement. It allowed me to approach tasks in a way I wouldn’t have thought of had I not done an internship – this is something I carry with me to this day in my current job. Plus, I realized that whatever I worked on as intern actually had an impact on the company’s bottom line, which gave me a huge sense of pride. Throughout my internships I was lucky to have great people supporting me. While I gained a variety of experiences and skills, I think the impact of having the opportunity to learn from a seasoned professional gave me someone to look up to and a goal to work towards. It instilled a work ethic in me of wanting to go above and beyond of what was required. 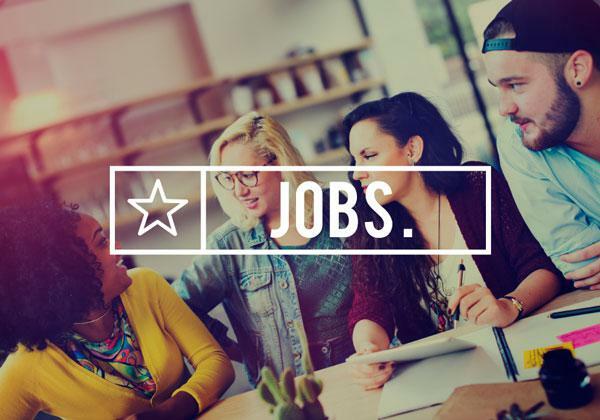 There’s a common saying, “It’s not what you know, but who you know,” and cultivating those connections in your internship before graduating can help set you up to get a job you’ll love down the line. Not only that, but by making a positive impression while interning, you’re building your own brand, and people will remember the kind of person you are– this is a quality that will be very useful down the road when looking for references or asking for recommendations on your LinkedIn profile. Doing an internship exposed me to many different aspects in my field of study. It helped me realize the areas I excelled at and those I needed to develop more. I was able to try out new tools, learn new skills along the way and leverage my mistakes to motivate me to improve. Furthermore, I realized what I wanted to do in the long term and, above all, what I did NOT want to do with my life. Interning helped me discover a career path I was passionate about – and one that would give me the chance to learn and grow within a company. After ten months of testing myself in a real-world working environment, I had grown both as an employee and an individual. By the end, I had the confidence to propose new ideas – my ideas – for major campaigns to go out into market. I also gave presentations to large groups of people. But most of all, I had the experience needed to secure my first full-time job. A recent survey by the National Association of Colleges and Employers (NACE) found that 95 per cent of employers considered a candidate’s experience to weigh in on their hiring decisions. Ultimately, completing an internship gave me an edge over others who didn’t. In a recent article, Dina Vardouniotis, Vice-President and General Manager at JP Morgan Chase, shared the best advice she ever received: “Don’t worry if it’s the right job until you get it.” As millennials, we all go through a little FOMO (Fear Of Missing Out), so taking a shot at that internship might just be the best decision you ever make. If you’re looking for an internship, check out Monster.ca to see if there is a position that might be right for you, and check out this video for more on why you may want to complete an internship. Looking for tips on how to build your resume or ace the interview? Visit career-advice.monster.ca.